As a PhD student and freelance dissertation editor, I’m in the unique position of simultaneously writing my own dissertation and editing other people’s dissertations. This has given me some special insight into what goes through the heads of both parties, and the problems that can sometimes arise when either the author or editor does not have their expectations or needs met. If you’re thinking of hiring a dissertation editor or proofreader, here are some things you should (and shouldn’t) expect. Often PhD candidates hire editors because writing is not their area of expertise. What that often means is that your area of expertise is not your editor’s either. This doesn’t mean that hiring an editor isn’t worth the time and money. An editor can help you with issues like grammar, mechanics, organization, and flow (alternatively, if you don’t need help with developing your ideas or organizing your dissertation, a proofreader is usually a more economical choice). But you can expect your editor to need occasional clarification or help with difficult jargon. In fact, if your editor contacts you for clarification on some aspect of your project, you should take it as a sign that he or she is doing a thorough job. Although your editor may not be at all familiar with your field, you can expect your editor to be familiar with whatever citation style your department prefers you to use. This need not mean that your editor is an expert at this style, but they should be proficient enough to catch any errors that might be present. Do not expect your editor to offer you a critique or assessment of your project’s overall value. This is what your committee and readers are for. Your editor may be able to point out flaws in your logic or presentation of data, for example, but he or she is not responsible for the academic content of your dissertation. And never, ever ask a dissertation editor to rewrite portions of your dissertation or otherwise alter its intellectual content. 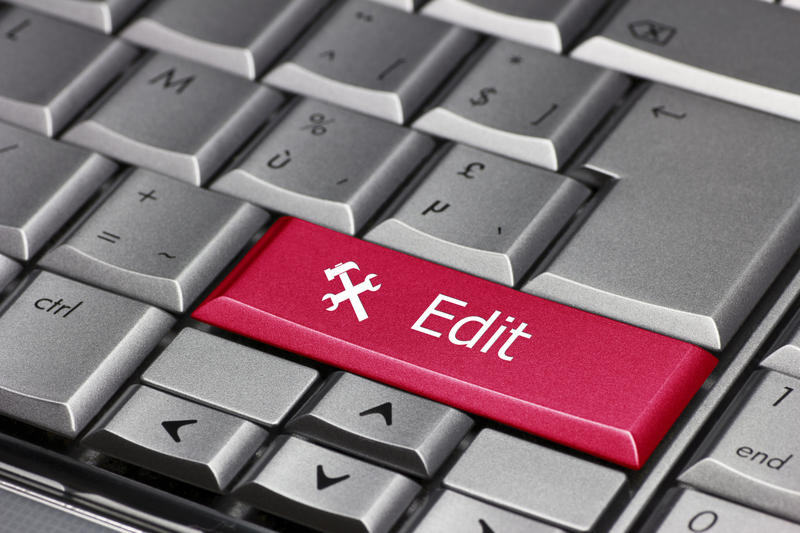 Your editor should help you with your presentation of your work, not with your main ideas. To ask him or her to do so is a serious breach of academic ethics. Just as you shouldn’t expect your dissertation editor to ghostwrite your dissertation, you can also expect your editor to preserve your unique style and voice. Just because you’re not an expert writer doesn’t mean your editor has the right to do significant rewrites in the name of style or flow. This is your dissertation, and it should be in your words. If you feel like your editor is overstepping his or her bounds, speak up. Finally, it’s key that there is an open line of communication between you and your editor. He or she should be readily available by phone or email, and (if geographically possible) willing to meet with you in person to review the edits. Conversely, it’s important that if your editor has questions about your project that you are prompt and communicative in your response. An editor can be immensely helpful with the dissertation writing process, but only if both of you understand the needs and expectations of the other. Writing a dissertation can be a long and lonely journey, but it doesn’t have to be. If you’re at the point in your project where you think that working with a dissertation editor would be beneficial, StyleMatters can partner with you at almost any stage of the process, whether you’re just beginning to draft or polishing a finished product. Dissertation editing is more economical than you might think—we’re able to offer individualized dissertation editing rates for tight student budgets. And don’t forget—above all, working with an editor should save you the time and anxiety of painstakingly checking your work for errors. This means you get to devote more time to the things that are really important in your life, whether that means working on the research portion of your dissertation or spending more time with family and friends, and that can be a real lifesaver. Happy dissertating!